Location: "Bilyana Beach” hotel complex is situated at the very coastline of the southern beach of the town of Nessebar. Accommodation: “Bilyana Beach” has 123 rooms and 12 suites, each of them individually furnished. 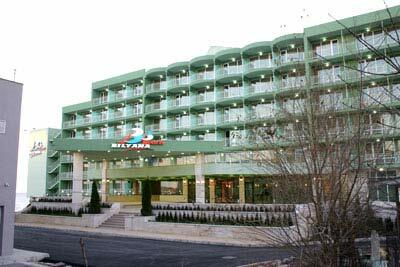 “ Bilyana Beach” hotel complex is the right decision for everyone who enjoy holiday with style. Restaurant, lobby bar, piano bar, indoor and outdoor swimming pool, fitness, sauna, parking. just have a question how much does the gym cost ? is it free or not? Have stayed here twice and both times very pleased with this hotel. No need to go anywhere else in Nessebar when we know we will always have a well run hotel with friendly staff. Does anyone know how far away from Nessebar old and new town the hotel is? Also how far away from Sunny Beach is the hotel? Do you know if there is a spa, where you can get massages etc nearby? Juat back from yet another 2 wks in the Bilyana Beach. Could not get booking thru Balkan Holidays so ended up in the Mistral, Nessebar, stayed 1 night.Stoyan(Steve) the Balkan Hol Rep arrangedfor a transfer to Biyana Beach, from a dump to a Palace! Weather not too good but Hotel excellent, again highly reccemended. Just back from Bilyana Beach Hotel. I'ts better than ever.The fact that the staff recognise you and make you welcome is an added bonus. 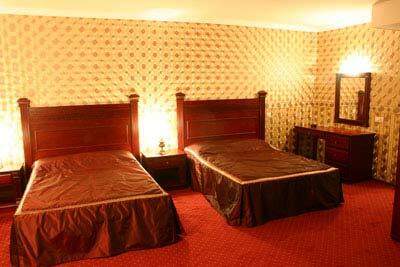 Best romm in Hotel is 108, although they are all excellent. Food even better than last year!!! One of the best hotels I have ever stayed in. Clean,bright, excellent staff most of whome speak Engish to a degree,right on the beach with very good facilities.Highly reccommended. Hope to go twice this year.